OCZ has been teasing the Vector 180 for quite some time now. 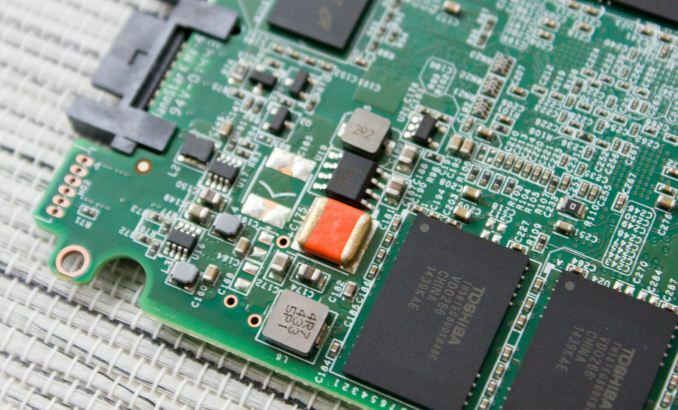 The first hint of the drive was unveiled over nine months ago at Computex 2014 where OCZ displayed a Vector SSD with power loss protection, but the concept of 'full power loss protection for the enterprise segment' as it existed back then never made it to the market. Instead, OCZ decided to partially use the concept and apply it to its new flagship client drive that is also known as the Vector 180. OCZ calls the power loss protection feature in Vector 180 'Power Failure Management Plus', or PFM+ for short. 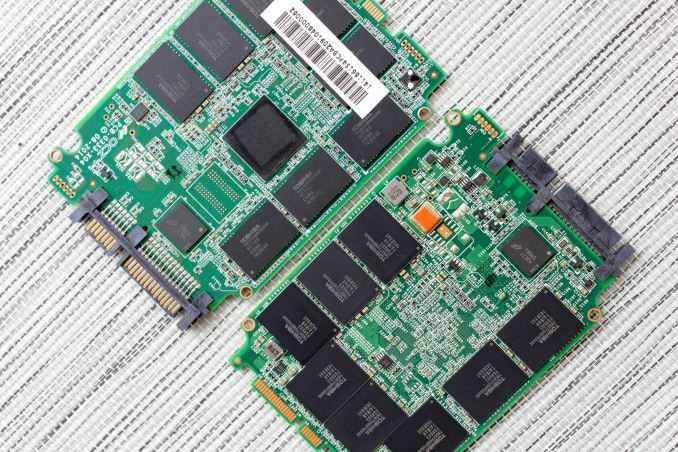 For cost reasons, OCZ didn't go with full power loss protection similar to enterprise SSDs and hence PFM+ is limited to offering protection for data-at-rest. In other words, PFM+ will protect data that has already been written to the NAND, but any and all user data that still sits in the DRAM buffer waiting to be written will be lost in case of a sudden power loss. 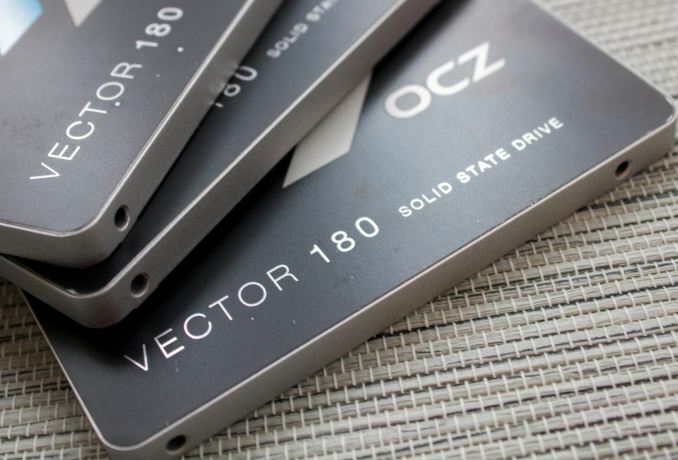 Aside from PFM+, the other new thing OCZ is bringing to the market with the Vector 180 is a 960GB model. The higher capacity is enabled by the use of 128Gbit NAND, whereas in the past OCZ has only used a 64Gbit die in its products. It seems that Toshiba's switch to 128Gbit die has been rather slow as I have not seen too many products with 128Gbit Toshiba NAND - perhaps there have been some yield issues or maybe Toshiba's partners are just more willing to use the 64Gbit die for performance reasons (you always lose some performance with a higher capacity die due to reduced parallelism). The retail package includes a 3.5" desktop adapter and a license for Acronis True Image HD 2013 cloning software. Like some of OCZ's recent SSDs, the Vector 180 includes a 5-year ShieldPlus Warranty. OCZ has two flavors of the Barefoot 3 controller and obviously the Vector 180 is using the faster M00 bin, which runs at 397MHz (whereas the M10 as used in the ARC 100 and Vertex 460(a) is clocked at 352MHz). OCZ's other SSDs have already made the switch to Toshiba's latest A19nm MLC and with the Vector 180 the Vector series is the last one to make that jump. 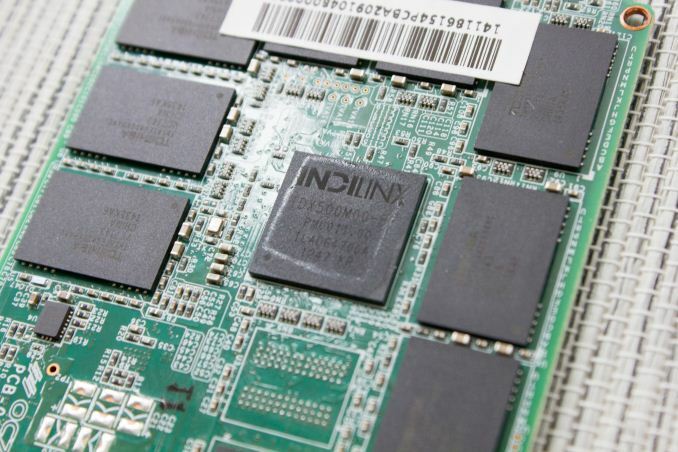 Given that the Vector lineup is OCZ's SATA 6Gbps flagship, it makes sense since NAND endurance and performance tend to increase as the process matures. The Vector 180 review is the second that is based on our new 2015 SSD Suite and I suggest that you read the introduction article (i.e. the Samsung SM951 review) to get the full details. Due to several NDAs and travel, I unfortunately don't have too many drives as comparison points yet, but I'm running tests non-stop to add more drives for more accurate conclusions.